Michael Gauthier currently serves as a Team Lead in the Contracting Services Department at MIT Lincoln Laboratory. He provides oversight, direction, and leadership to a tactical group of contracts professionals in accordance with FAR, DFARS, and MITLL policies and procedures. He is also an Adjunct Faculty Member at Brandeis University Rabb School of Continuing Studies (Division of Graduate Professional Studies) teaching Negotiation, Procurement & Contract Management, and Project Management in the Government. Previous to MIT and Brandeis, he was the Chief Procurement Officer for the City of Woburn, Procurement Analyst for City of Somerville and worked for many years servicing the Federal and State Governments as a contractor.He is certified as a Massachusetts Certified Public Purchasing Official (MCPPO) and as a Certified Professional Contracts Manager (CPCM) and Certified Federal Contracts Management (CFCM) by the National Contract Management Association. He holds a Bachelor’s Degree from Boston College, a Master’s in Public Administration at Framingham State University, and trained extensively at Massachusetts Institute of Technology. Gauthier was a presenter at the 2016 NCMA World Congress and 2015 March Workshop. 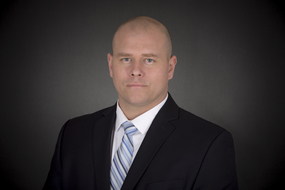 He is a published author in NCMA and Massachusetts Office of the Inspector General publications.